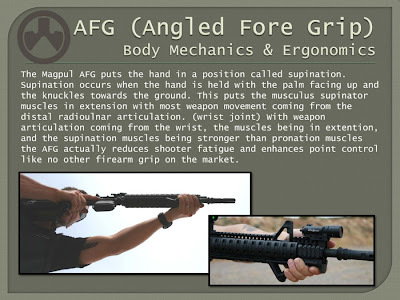 Magpul does most of the work for me and explains the concept behind their new grip above. An interesting alternative to the standard vertical grip, the idea seems sound to me. An another note, this is my first time seeing the rail covers in the AFG promotional picture shown above. 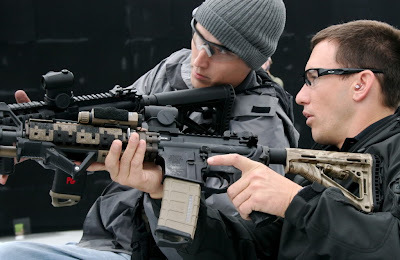 They appear to be Magpul XTM covers with a texturized surface.